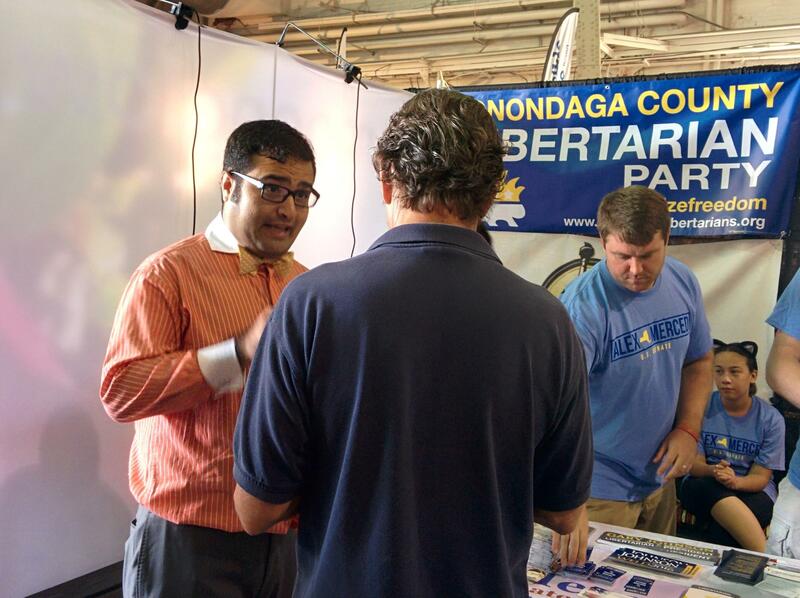 Alex Merced greets potential voters at the New York State Fair. This November there will be 3 candidates vying for the New York State Senate Seat currently held by Senator Chuck Schumer. He will have to face off against Republican Wendy Long and Libertarian Alex Merced. In the current political atmosphere, third-party candidates such as Merced see an opening for more than just the traditional 2-party campaign. Alex Merced tells WAER's Elana Sukert more on his positions regarding opioid abuse, foreign intervention, his view on Upstate New York, and concerns about Charles Schumer becoming Senate Majority Leader. Merced comes from a background in finance, and marketing. 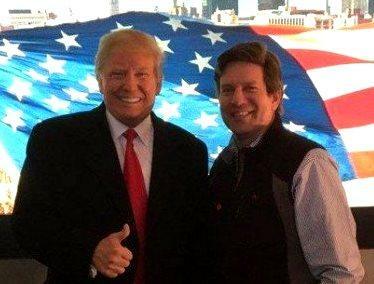 In recent months he has toured around the CNY and Upstate Region, including his current stop at the New York State Fair, to learn about the issues concerning voters from around the state. Merced sees the campaign as a national race. He decided to run against incumbent Chuck Schumer because of his seniority. He views opioid use and foreign intervention as a big problem that he doesn’t notice the other candidates addressing. Merced, who is an active podcaster and social media user, recognizes the need for different campaign methods in approaching different voters. 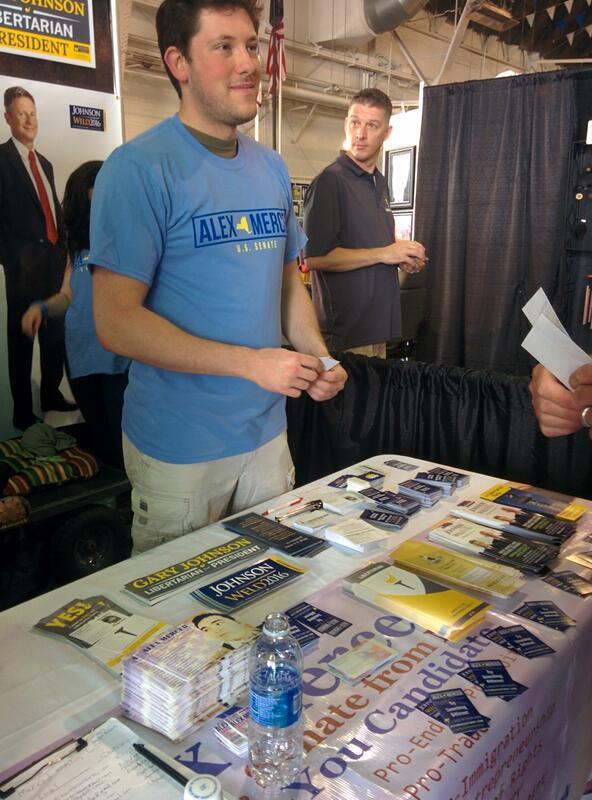 Merced will be at the Center of Progress Building at the New York State fair until Monday. The U.S. Senate election will be held on Tuesday, November 8th. Schumer in Syracuse today to support his plan to reduce it. 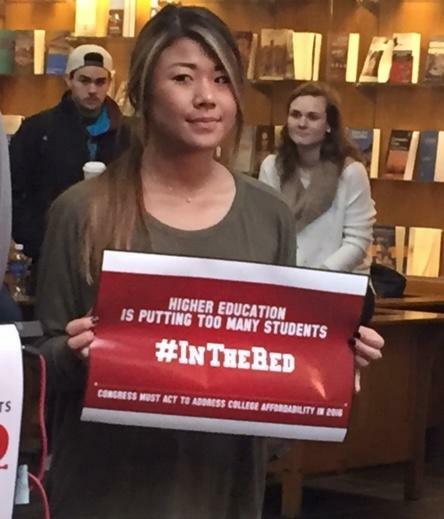 The Democratic Senator proposes a multi-part plan to reduce the debt students have to take on and eventually see all students’ graduate debt free.